View the most common questions our users and customers ask. If you're interested in a facsimile edition and need a quote, get in touch with us today. Use the form or call us between 6am-2pm EST. Voicemail always available. 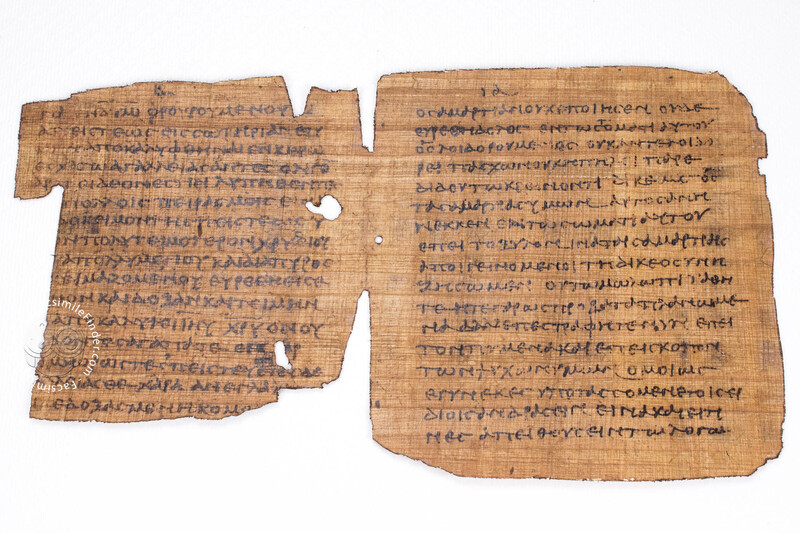 One of the most antique versions of the Epistles of St. Peter is variably dated to the second through the fourth century and preserved in a fragmentary form in the Biblioteca Apostolica Vaticana. 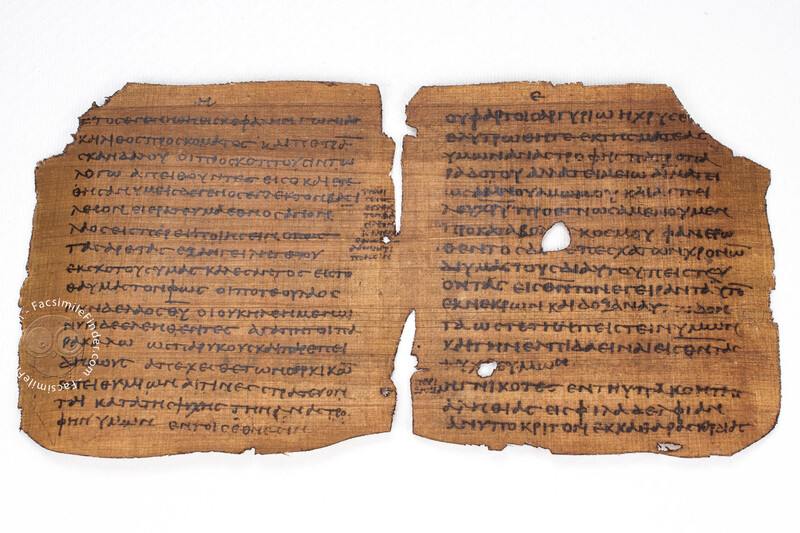 18 thick folios contain the text of the Epistles attributed to St. Peter and constitute the final part of an original codex made of papyrus that in its complete version should have had at least 180 pages as suggested by Michel Testuz. 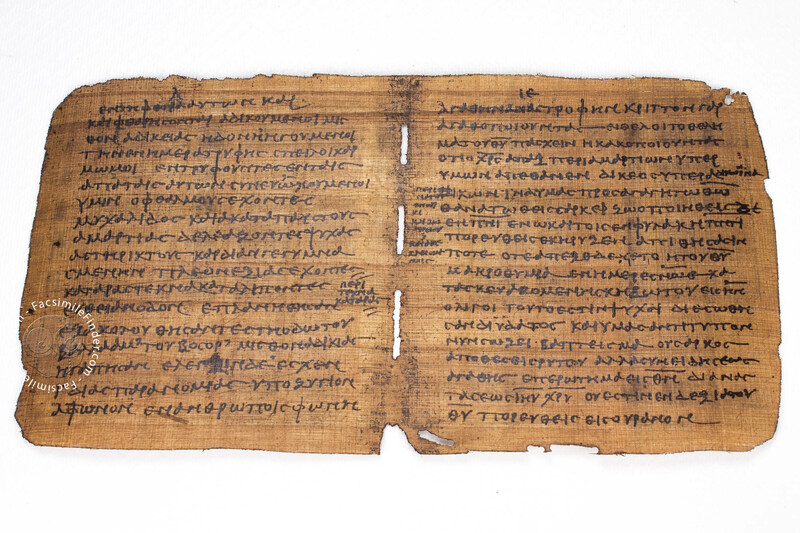 In June 1869, the Swiss collector Martin Bodmer presented the pages of the Papyrus Bodmer VIII to Pope Paul VI. 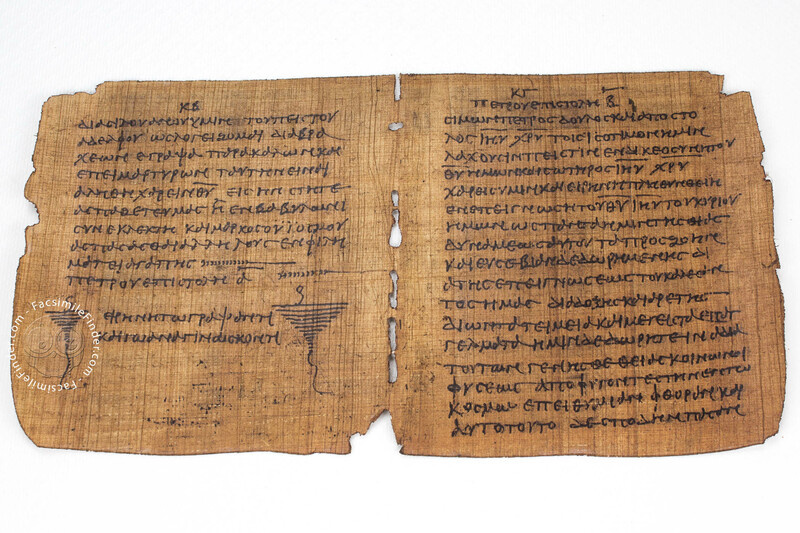 When the papyrus was incorporated into the collection of the Vatican Library, it maintained the original catalogue number. 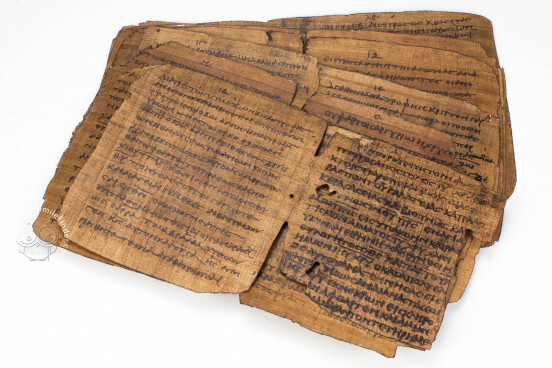 The folios are now kept unbound and protected by plexiglass, while the binding is preserved in the bindings collection of the Vatican Library. 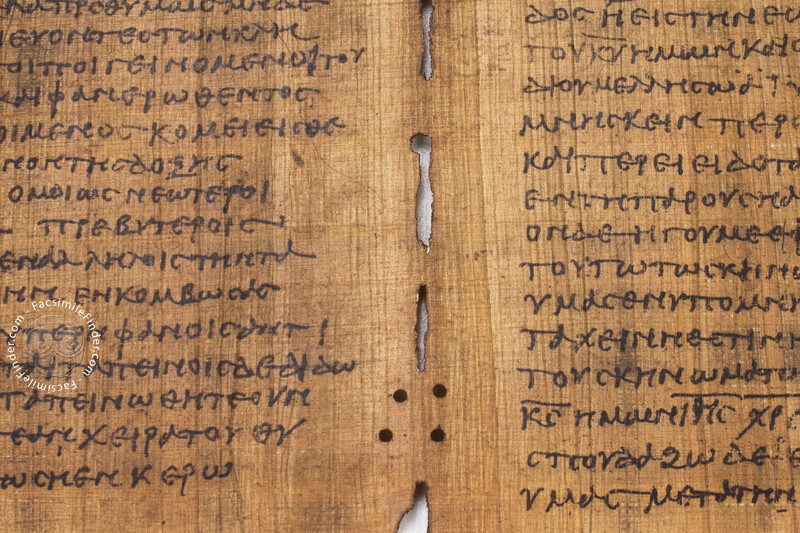 The original papyrus codex contained a wide anthology of different texts including the apocryphal Birth of Maria (CANT 50), St. Peter's letters to the Corinthians (CANT 211.IV), the ninth Ode of Solomon, the Epistles of Judas, the Homily on Easter written by Meliton of Sardes (CPG 1092) along with a fragment of an hymn composed by the same author (CPG 1093.17), Filea’s Apology (CPG 1672), Psalms 33 and 34, and the main text, St. Peter’s Epistles. 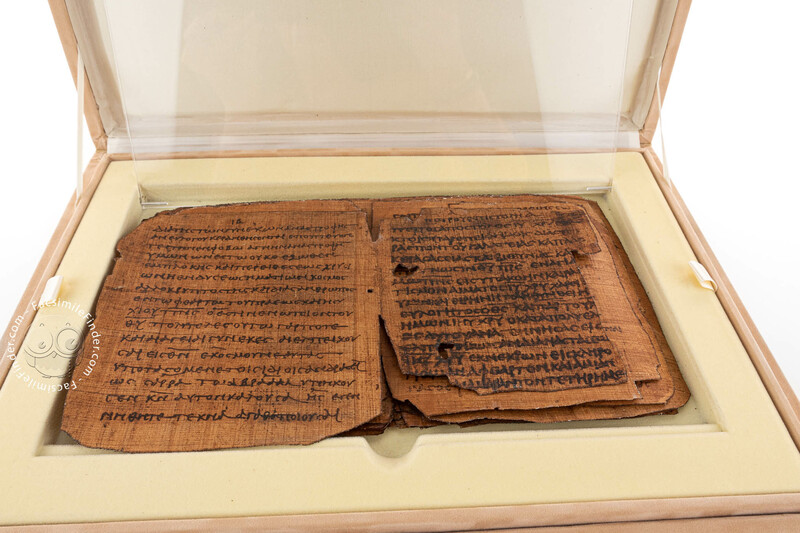 The codex containing the Epistles of St. Peter now kept in the Vatican with the shelfmark P72 was part of a group of 22 papyri discovered in Egypt in 1952, and named Bodmer Papyri after Martin Bodmer who purchased them. As a whole, the papyri contain segments from the Old and New Testaments, early Christian literature, Homer and Menander. 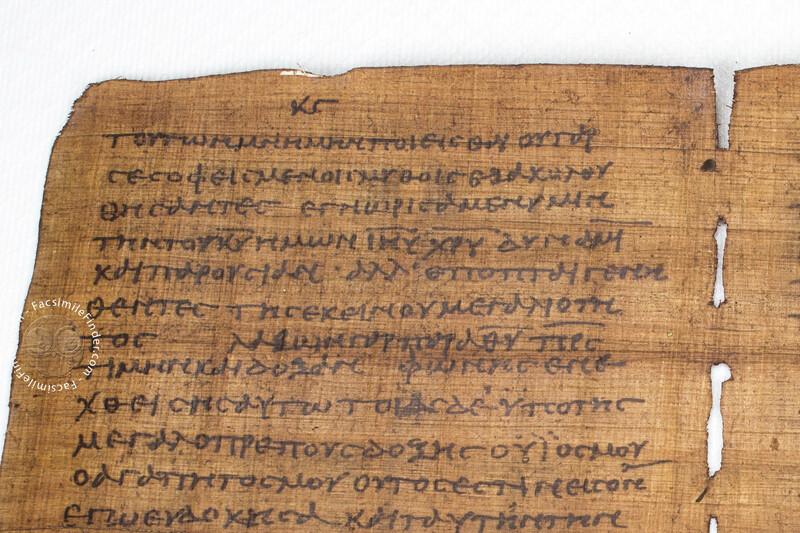 Square in shape, Bodmer VIII Papyrus is written in Greek with notation in Coptic probably to facilitate comprehension. It was written by several scribes, at least four hands can be discerned in the text. Bodmer VIII is generally dated to the end of the third and the first half of the fourth century. The place of production of the codex is unknown, but evidence seems to suggest that it was made in Egypt, where it was eventually found. Though a great part of the pages is trimmed, some folios still present the original size. 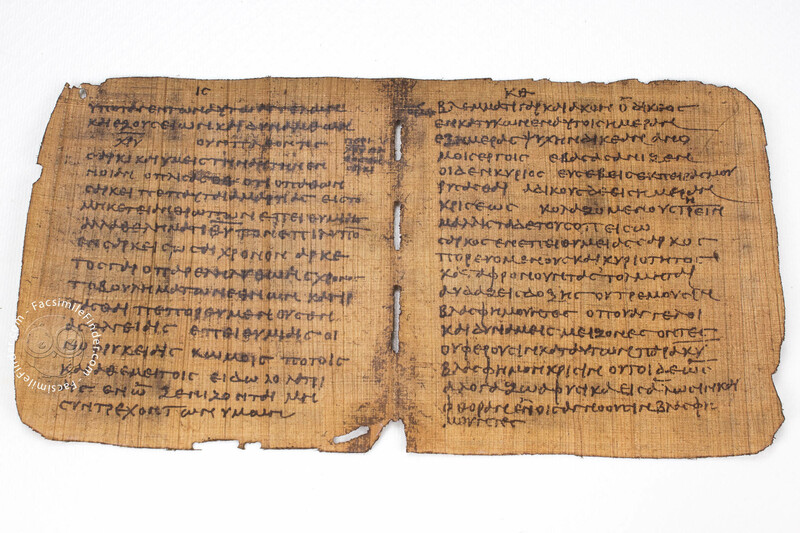 Based on the relatively small size of the papyrus, the codex was not used as liturgical text, rather for personal reading. The script is a majuscule quite regular and squared, characterized by rapid, almost cursive letters. 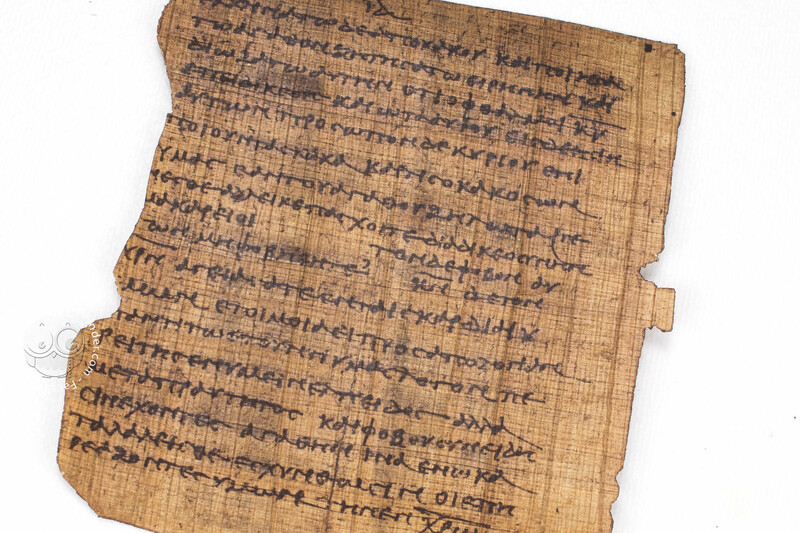 The usual script used for Christian texts is extremely regular, while this writing is comparable to a kind of script found in contemporary private correspondence and documentary papyri. 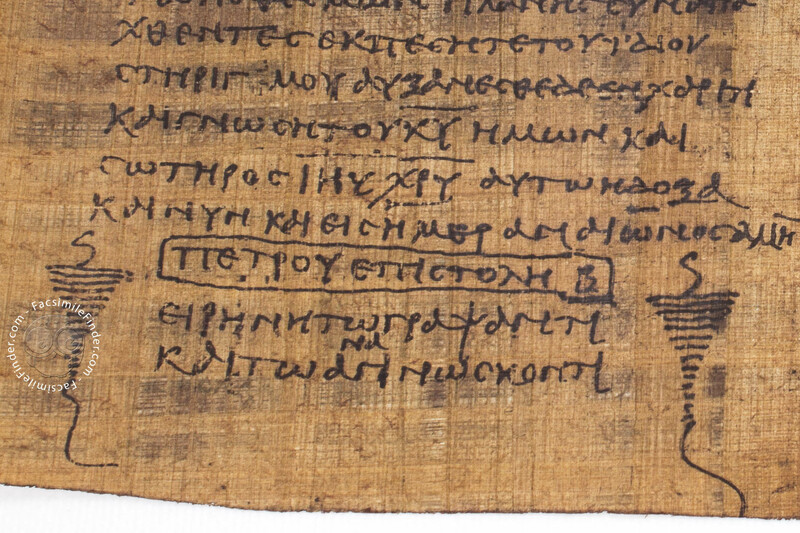 Document / Fragment on papyrus − 15.5 × 14.2 cm − 36 pp. Commentary (English, Greek, Spanish) by Ratzinger, Joseph; Martini, Carlo M.; Piazzoni, Ambrogio M.
Full-size color reproduction of the entire original document, Bodmer VIII Papyrus - Epistles of St. Peter: the facsimile attempts to replicate the look-and-feel and physical features of the original document; pages are trimmed according to the original format; the binding might not be consistent with the current document binding. 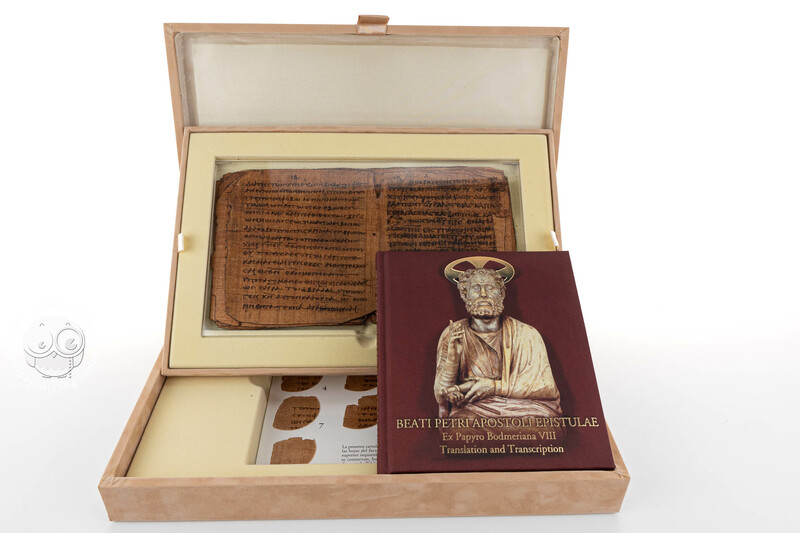 The facsimile reproductions are presented in a velvet lined case stamped in gold and one with two interior compartments for containing facsimiles with a transparent cover and a lower volume that keeps the studio. Not what you were looking for? Check out our popular filters below! Due to publishers' policies, some prices can't be displayed online, however we can answer to direct enquiries. Contact us now! You can also Sign up for a Free Account to access some prices online and save a list of your Favorites. Spread the Love for Medieval Art! Facsimile Finder is a supplier of books, specializing in facsimile editions.